France released a statement on Sunday condemning President Donald Trump for withdrawing from a previously agreed-upon statement by all seven nations in the Group of Seven (G7). While it may not be the President’s primary motive, the withdrawal from G7 is a constitutional, executive action. 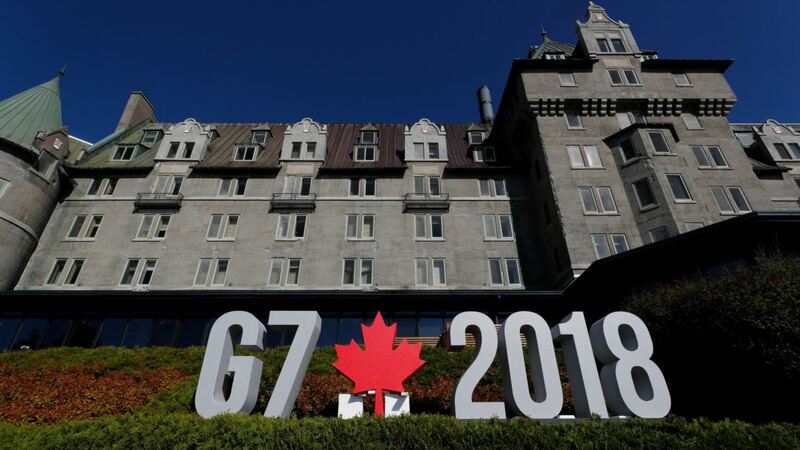 The premise of the G7 is to have a conference of the leaders from certain countries to make agreements about global economic governance, international security, and energy policy. When America’s president attends and makes agreements with other nations, however, he does so by sidestepping the treaty process by which the Constitution designates the American government to make agreements with foreign nations. The reason for the treaty process is that it has the protection of including the Senate body, which are direct representatives of each state. "[The President] shall have Power, by and with the Advice and Consent of the Senate, to make Treaties, provided two thirds of the Senators present concur..."
The Constitution never tells the President, or Congress for that matter, that they can tell business owners how much carbon dioxide their company can emit. But, other countries' leaders are doing it. Once again we are not other countries, and that is what makes us American. We the People are not led by the nose of those in power. We have created checks on power and no branch has unilateral authority to pull the American people into agreements or put our liberty under the yoke of other countries. When more closely examined, it seems that international agreements like these, like exaggerated Climate Change, have little to do with the Environment…but have everything to do with Communism vs. free-market Capitalism. Harvey Ruvin, former Vice Chair of the International Council on Local Environmental Initiatives made the claim, “Individual rights will have to take a back seat to the collective” in the process of implementing Sustainable Development. Are you catching these undercurrents of Marxism? Many of these so-called global agreements are all about just what the proponents say they are about — a Marxist world economy that pledges no allegiance to America, Americans, or the Constitution. In fact, it desires and requires all others to pledge allegiance to itself. Thomas Jefferson wrote in 1825, "The greatest calamity which could befall us would be submission to a government of unlimited powers." We at the Institute on the Constitution believe that it’s time to stop frightening our children into Global participation and instead enlighten them to the blessings of the constitutional free markets and individual liberty in America. We are hoping you will join us.